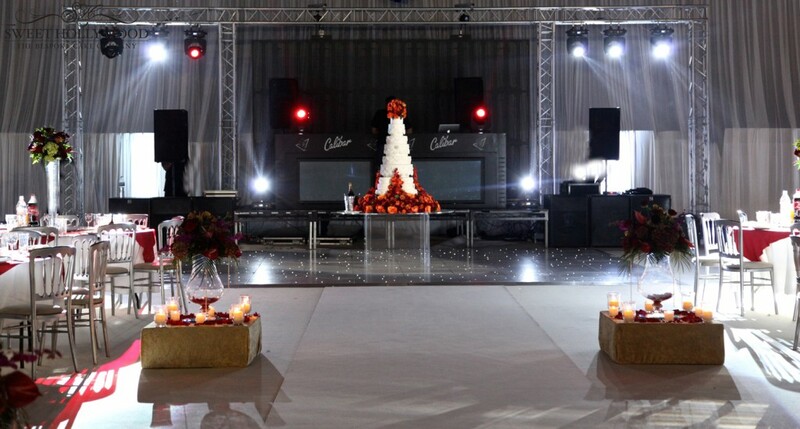 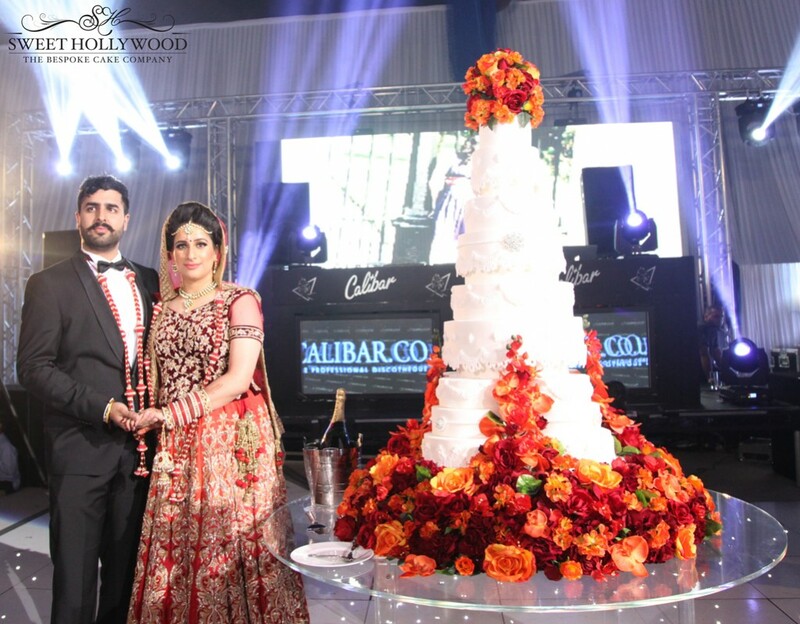 Sweet Hollywood created this magnificent 18 tier wedding cake to feed just under 1000 guests at an Asian wedding reception in Brentwood Essex over the weekend. 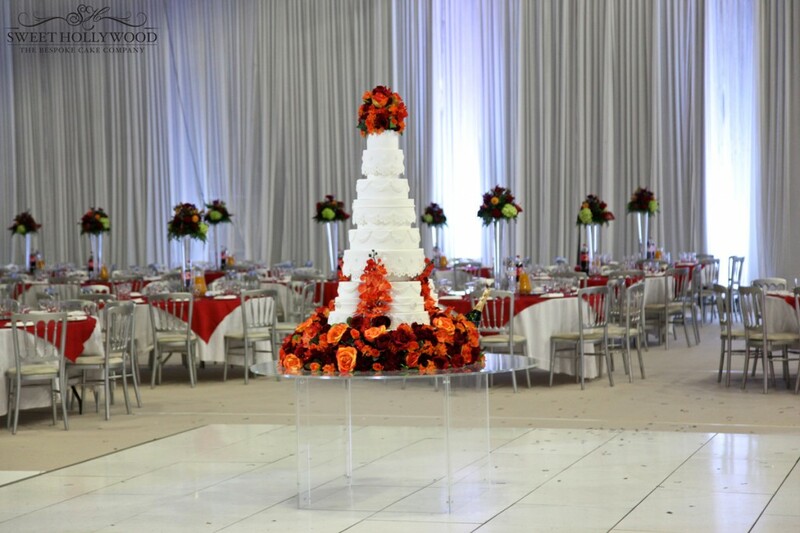 Our client Shaz loved the idea of steps leading into a large tower and wanted to incorporate her autumn colour scheme into the cake to match her colour scheme and fresh floral displays at the Asian wedding reception. 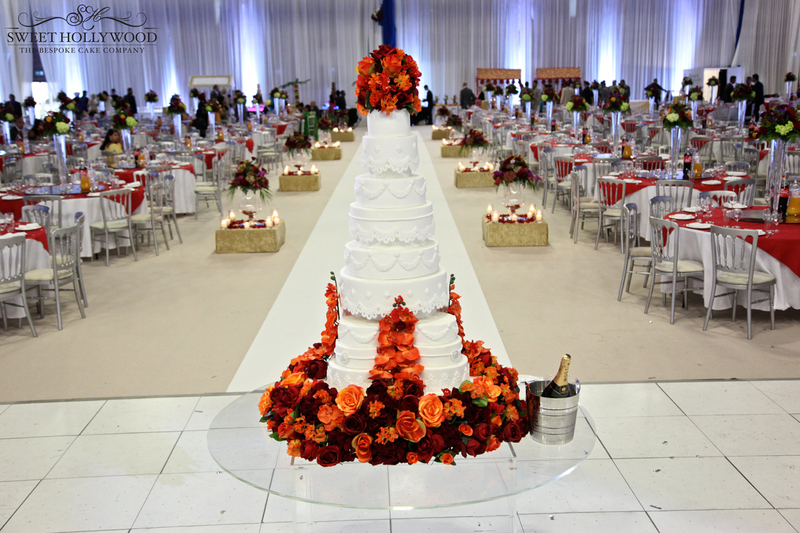 Sweet Hollywood created the magnificent masterpiece which was inspired by The Royal Wedding Cake which was made for Prince William & Kate Middleton. 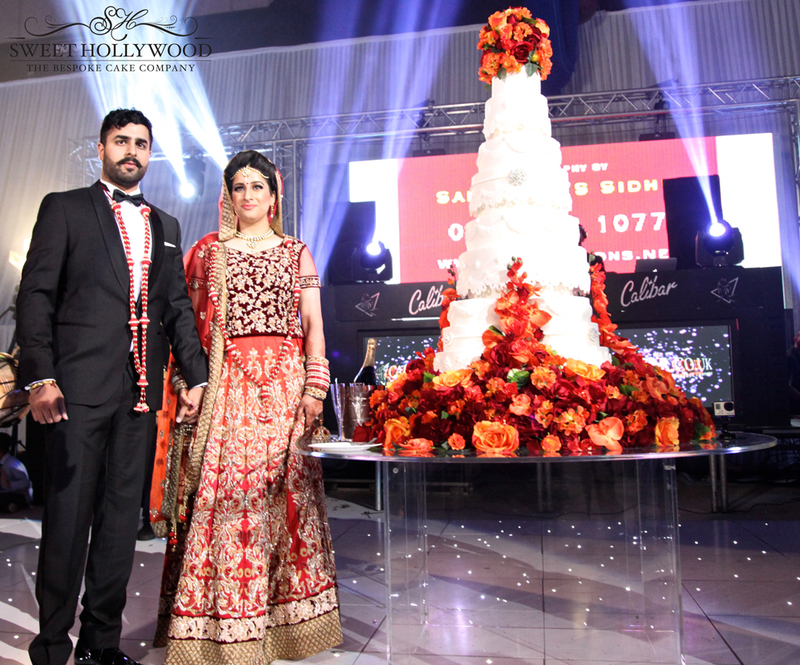 If you are looking for a large statement wedding cake, then Sweet Hollywood are definitely bakers to consider! 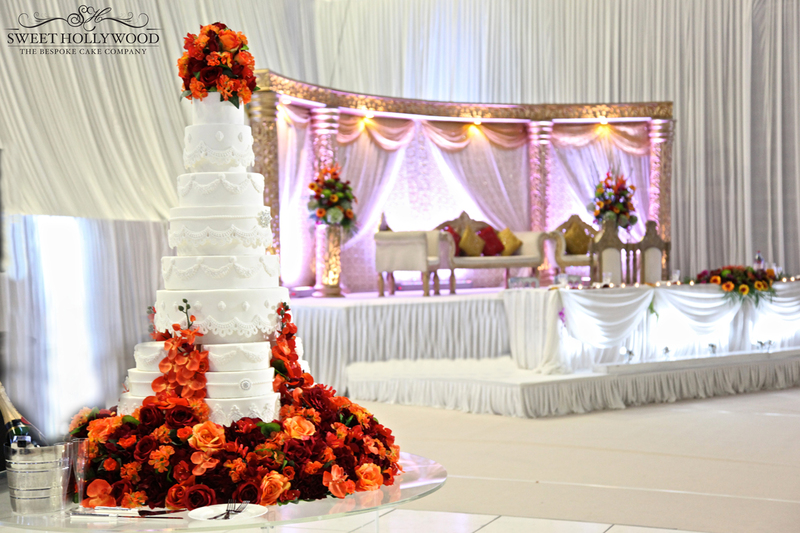 As always we added our own twist and beautifully decorated the tiers with intricate sugar detailing and finished of the presentation with a stunning floral display that crept up the steps of the large wedding cake along with a floral crown beautifully showcased on our custom floating table. Leading suppiers included wedding decor, mandap and staging by Wed in Style and music and entertainment by Calibar Roadshow.